Grandma, Gran, Nana, Abuela, Memaw - no matter what you call them, they are some of the most special women in your life. They dole out hugs, some of the best baked goodies, and plenty of unconditional love and support. Grandmothers deserve the world and we want to help you give them just that with the perfect Mother's Day gift! While a Mother's day card is always a nice surprise, this year step up your game with a unique gift box for grandma. Send her a curated monthly box full of fun and useful surprises that let her know just how special she is. Our gift guide includes some of our favorite subscriptions that make great Mother’s Day gift ideas for grandma. Take a read through to find that perfect gift for your grandmas! 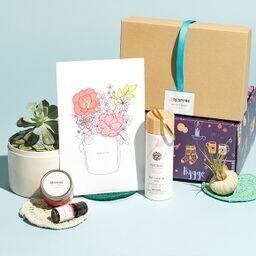 What's Included: Ensure that your littles spend quality time with grandma when you gift her Grandma's Joy Box, one of many unique Mother’s Day gifts for a new grandma. Each month’s themed box is filled with creativity and memory making, with coordinating craft supplies, activities and books. Foster the special relationship between grandparents and grandkids with a box that helps them spend quality time together. What's Included: For any grandma who enjoys knitting, the Knit-Wise subscription delivers all the necessary project inspiration she’ll need. Sending everything to craft a handmade project including the yarn, needles, accessories, and step-by-step instructions, each month’s box features a designer project to make an item for the home or to add a piece to her wardrobe. And, if she’s new to knitting or crocheting, the beginner box has all she needs to start a new hobby. What's Included: Show her just how special she is to you by sending a colorful bouquet of blossoms. 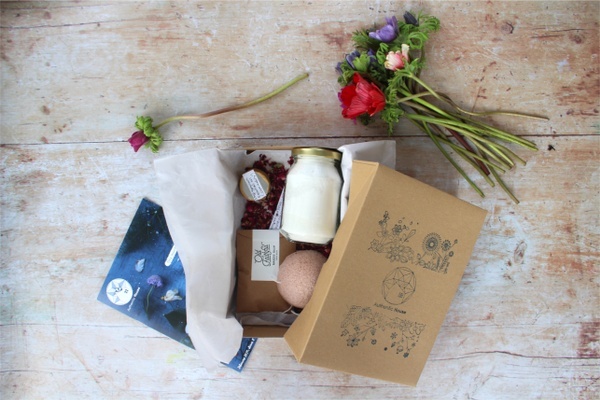 BloomsyBox wants to bring smiles along with delightful blooms to help brighten up the home. With fresh flowers selected from sustainable farms around the globe, each hand-picked bouquet is cut to order. From traditional to seasonal arrangements, these beauties will not disappoint. What's Included: Curated specifically for those over the age of 65, the GrandBox subscription aims to send fun to seniors in each month’s themed box. With full-sized useful and engaging items in every delivery, like snacks, games and body care items, the best part of the gift is that you can add a personal touch with letters and 5 photos meant just for your grandma. What's Included: When the sea is miles from her home, SeaCrate delivers a dose of relaxation that grandma is craving to help tide her over till the next family beach adventure. Featuring 5+ items in each month’s box, from beachy home decor items and beach-combed treasures, to delicious coastal recipes and sea-inspired jewels, this gift box offers the serenity of the sea to all those longing for walks along the beach. What's Included: If your grandma is the type to always greet you with a baked good, then Whisk Takers is definitely the best gift idea for her! Perfect for bakers of all experience levels, each month’s box delivers pre-measured ingredients and simple-to-follow instructions to whip up a batch of brownies or cupcakes, both yielding plenty to share. This subscription makes dessert come together with ease by simplifying the process of from-scratch baking from start to finish. What's Included: My Coffee and Book Club makes a great gift for all coffee drinking and book loving grandmas. Featuring a unique 12-ounce bag of micro-roasted gourmet coffee, in either whole bean or ground coffee, plus 2 hardcover books in a specified genre and a convenient e-Book for on-the-go reading, unpack a winning combo each month. What's Included: Everyone needs some time for reflection, and the Hopebox is a gift box that aims to deliver just that. Available in 3 levels, each month’s box brings grandma encouragement to get through the highs and lows of life’s journey with 6-15 handmade treasures crafted by talented artisans, from smile-worthy greetings to thoughtful personal-care items. What's Included: Perfect for grandmas who are adventurous cooks, Piquant Post is a monthly subscription box that infuses a bit of wanderlust into exotic homemade meals. Let her experience the flavors of the world by getting 4 small-batch freshly ground spice blends and 4 chef-developed recipes that will have her cooking up fresh global-inspired dishes that are packed with flavor. What's Included: The Bath Blessing Box is a great gift for readers, allowing them to draw a warm bath, grab a book, and spend some alone time relaxing and reading. 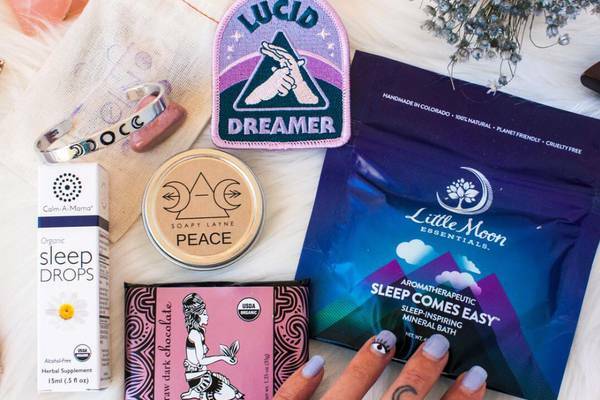 A premium spa subscription that sends top-quality artisanal bath and body products, with all-natural ingredients and invigorating essential oils, each monthly box is packed with 5-8 items like soaps, soaks, salts, steamers, bombs and bubble bath. Treat grandma to everything needed for a luxurious bath! What's Included: It’s time for wine and cheese to move aside and make way for the next perfect pairing - coffee + cookies! With a Match Made Coffee subscription, gift grandma to a tasty treat every month. Featuring 2 craft coffees and 2 gourmet cookies, mindfully selected as the perfect flavor match to that month’s brew, she can happily snack alongside an engaging novel. What's Included: With the Explore Local Box send the uniqueness of the cities across the U.S. right to her front door each month. Showcasing a new U.S. city in every box, each is filled with artisanal local treats and well-crafted high-quality products highlighting the featured locale. It's a perfect way to give her the gift of coast-to-coast exploration while remaining comfortably at home. What's Included: This Mother’s Day, keep that connection with grandma strong when you send the Senior Delight subscription. Curated by experienced caregivers and nursing home aids, she’ll unpack 6-8 items each month that help to foster happiness and joy, engage her mind and enhance socialization. It’s a simple gift that reminds grandma that she’s always in your thoughts. What's Included: Connect in faith each month when you gift the Butterfly-Box. Walk a path close to Jesus and be surrounded in His love with each special delivery. Curated to include 3-5 inspiring items, including books, artwork, decor and faith-based specialty items, each product acts as a pleasant reminder to stay focused on a personal calling throughout the month. What's Included: Take the natural warmth of grandma’s home up a notch with trendy touches from Charming Homestead. Let the experts send the style she sees on home shows and in design magazines directly to her. Delivering 5 home decor items, like artisan candles, picture frames, handmade soap, and farmhouse chic decor items, each month’s box packs an instant home update. 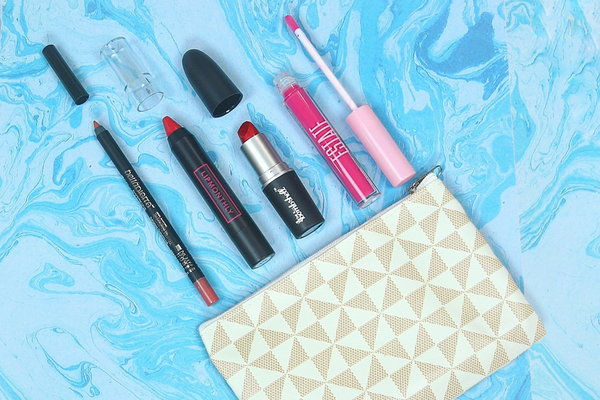 If you didn't find the perfect gift for grandma check out our other gift guides below and our list of last minute Mother's day gifts!